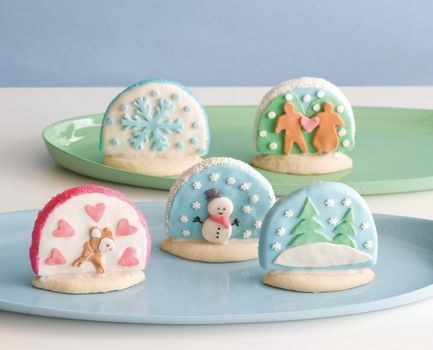 These snow globe sugar cookies are such a cute idea for a Christmas cookie. I love snow globes, so I couldn't let the fun stop there. I had to find snow globe cupcakes too. And if you are looking for something really fun for a dinner party, this snow globe dessert, made from white truffles, would impress any guest. Oh wow! Such cute ideas! 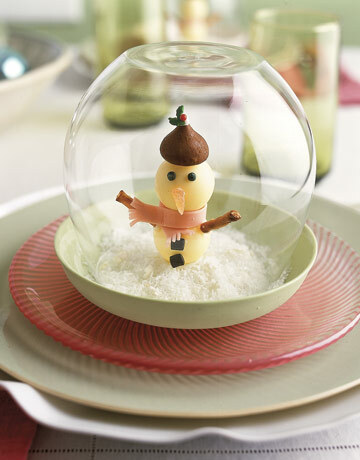 oh my goodness I love the snow globe idea! 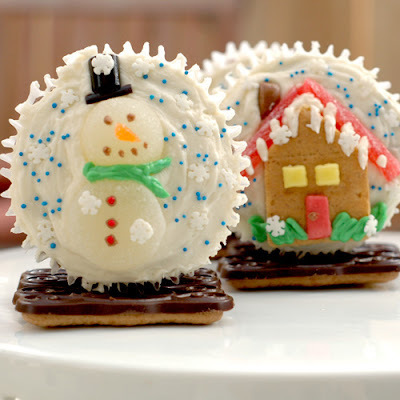 The cupcake one seems easy to preassemble and then have guests decorate the scene on the "inside" of the globe. hmmm... we may just need to have a holiday party after all! Oh my goodness! These are adorable! I do love a cute cookie!